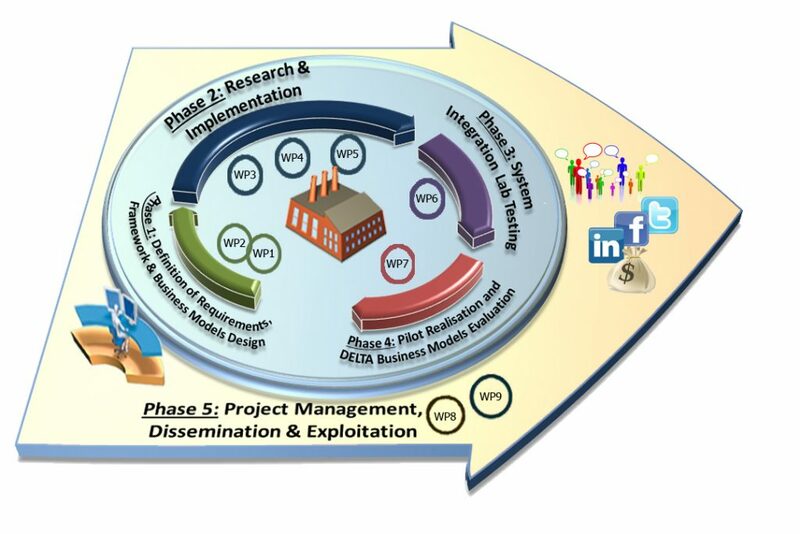 DELTA is a three-year Research & Innovation Action project commencing 01 May 2018 and running until 30 April 2021. The project team comprises 10 organisations from 8 countries. The project coordinator is CERTH, based in Greece. 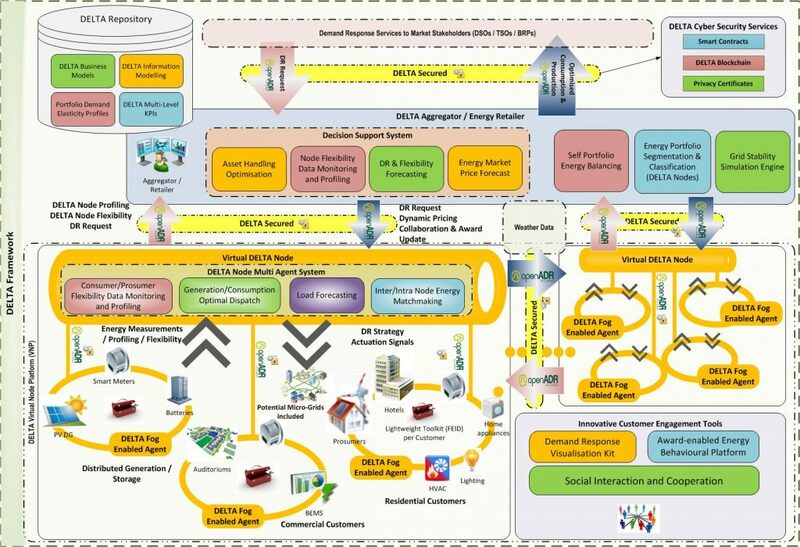 The project name, DELTA, is a shortened form of the long title: Future tamper-proof Demand rEsponse framework through seLf-configured, self-opTimized and collAborative virtual distributed energy nodes. 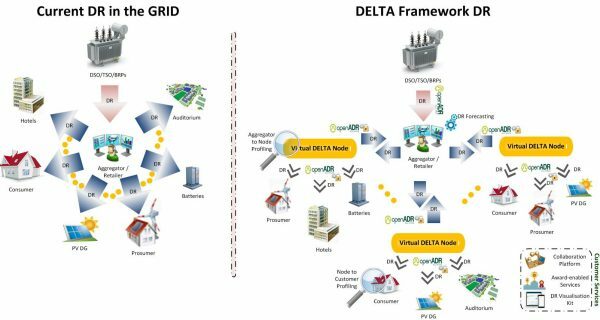 DELTA proposes a Demand-Response (DR) management platform that distributes parts of the Aggregator’s intelligence into a novel architecture based on Virtual Power Plant (VPP) principles. It will establish a more easily manageable and computationally efficient DR solution and will deliver scalability and adaptiveness into the Aggregator’s DR toolkits. Provision of full-scale market and grid services will be made possible by delivering DR elasticity services within the regulatory framework and by satisfying potential grid constraints. Furthermore, DELTA will propose and implement novel multi-agent based, self-learning energy matchmaking algorithms to enable: Aggregation; Segmentation and Coordination of several diverse supply and demand clusters. Delta will be designed end-to-end using open protocols for increasing interoperability. It will set the future benchmark for data security in DR applications by implementing novel block-chain methods & authentication mechanisms as well as by using Smart Contracts. Two pilots in the UK and Cyprus will prove the DELTA concept. The pilots will cover a wide variety of residential/tertiary loads (>11GWh), RES generation (>14GWh) & energy storage systems (>9MWh) (average annual measurements). DELTA has received funding from the European Union’s Horizon 2020 research and innovation programme under grant agreement No 773960. Want to ask a question about DELTA? Join our project discussion board.